Are you maximizing your music streaming income? A question that many artists fail to ask themselves which is unfortunate as streaming is quickly becoming one of the top revenue generators for artists. We have all heard the horror stories from artists with label deals and from songwriters who complain about the minimal dollars they see rolling in from Spotify. And you know what, they are proclaiming truth. An artist with a label deal only sees 12-14% of actual Spotify revenue after they recoup. (which could be forever or never) Songwriters with publishing deals are also seeing a very small piece of revenue but there is promise for the future as streaming services are being pressured to increase publishing payouts. However, an independent artist, who owns their master and publishing, can see a significant amount of revenue from Spotify, Apple Music and Amazon Music. I work with several independent artists and see their Tunecore statements which reveal how quickly streaming revenue is growing. Variety Magazine reported last week that Sony Music’s streaming revenue was up 32.1% representing 43% of their $1.14 Billion fiscal third quarter music income. If that doesn’t sound your alarm, you may want to find a new alarm! I encourage all artists to focus on maximizing music streaming income. 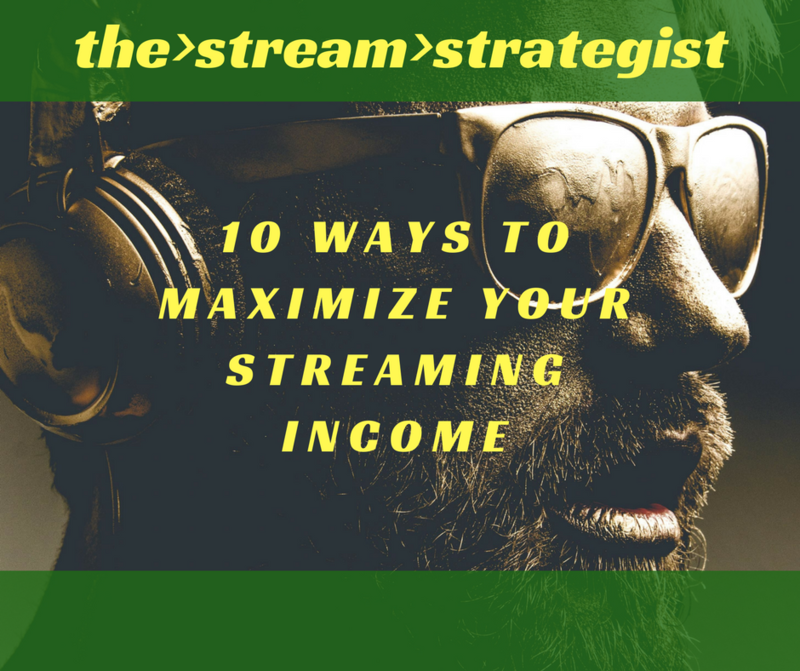 There are music streaming strategists for hire who can help jumpstart your strategy including our favorite the>stream>strategist Below are 10 ways the>stream>strategist suggests to jump start your music streaming income potential. Ensure your Spotify profile looks as nice as your Facebook, Instagram and Twitter profiles. Spotify provides artists with the freedom to choose profile photo, header photo and artist pick feature. Feature Spotify “follow me” links on your website, socials and eblasts. Spotify “follows” ensure direct notifications to listeners when you release new music. Create Facebook and Instagram ads with a “follow me” link. Use Smarturl to create links direct to a Spotify “follow” button. Create & use links that show all digital service providers so consumers can choose their service to stream or download your music. Rethink your release strategy. The full album release no longer plays in your favor for maximizing streams. Can I ask you a personal question? What is your music streaming strategy? If you can’t answer that question with confidence that you are set up to maximize your music streaming income, then don’t expect to find success with your music in 2018 and beyond. The music streaming switch has flipped “ON” quickly making other music listening methods obsolete. Yes, a small segment of music consumers are still buying vinyl, cds and downloads but the mass music consumers (even your parents) are now streaming their music via Spotify, Apple Music, Amazon and Pandora. So, I ask the question again. What is your music streaming strategy? Most artists put their music up on Spotify, Apple, Amazon and Pandora by simply checking the “deliver to” box on their Tunecore or CD Baby account. While checking the box is a great start, that is about as far as some get. Many artists wish their listens would increase but find themselves at a loss as to how to make that happen. It can be a quite frustrating after putting so much into creating great music. We are excited to introduce you to the>stream>strategist, a service that helps independent artists and labels set up their streaming strategy for success. the>stream>strategist has been marketing music for 25+ years and over the last couple of years has put a huge emphasis on studying the science behind building successful music streaming platforms. 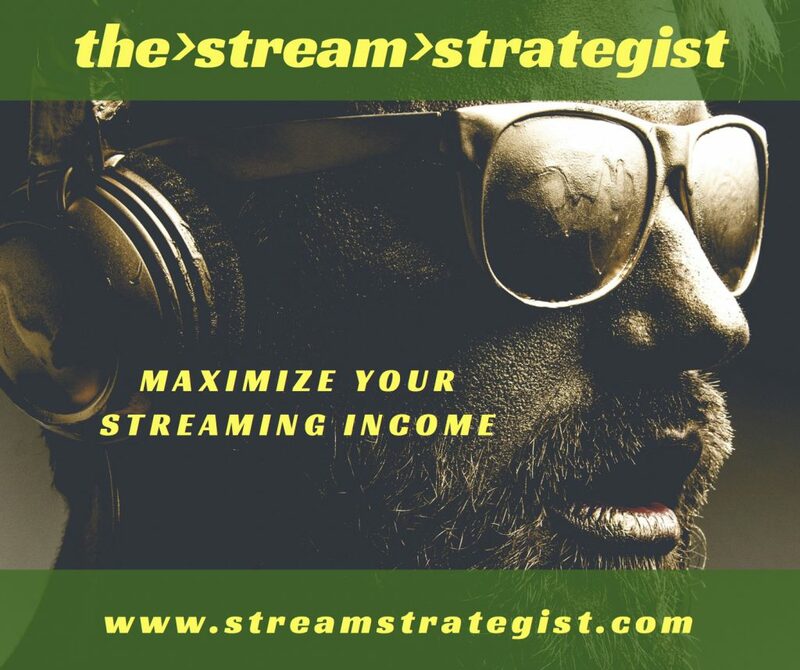 the>stream>strategist takes a look at your current streaming platform, analyzes it and helps you implement the necessary changes to get you on track for maximizing your streaming exposure and income. Whether you visit the>stream>strategist or not, find someone to help you get your streaming strategy set up for success. Something I often hear in Christian circles, is a common distaste for the overall sound of Christian radio. Many in the industry listen to Christian radio in short stints as a necessity for work but their personal preference is found in mainstream music. The complaints I hear are generated from college/young adult Christians, artists, producers, songwriters, record label employees and even some who work in radio. Reasons heard from those complaining include 1) the music sounds the same as what was being played ten years ago 2) every song sounds similar 3) radio plays the same handful of artists on repeat 4) the production isn’t relevant to what is being made in the mainstream. While some of those reasons may ring true, who is serving up solutions? Who feeds the music to radio? I would argue that the radio playlists lie in the hands of the creators. If the artists, songwriters, producers and record company A&R teams refuse to feed radio the same formulaic music, wouldn’t radio be forced to change? When something new begins to work, what if creators resisted the urge to jump on the copycat bandwagon and instead chose to lead with even newer sounds? What if record companies refused to put so much stock into what radio research is asking for and instead fed radio with nothing but innovative music? 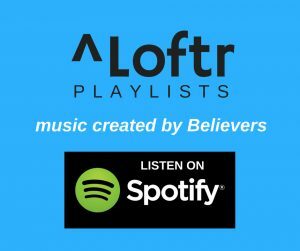 Imagine radio playlists chocked full of innovative artists like Switchfoot, For King & Country, Lecrae, Future of Forestry, John Mark McMillan, Social Club and The Brilliance. Radio might just sound a bit different. Join the conversation, share your thoughts and stay tuned for Part 2 as we explore even more. Is Your Comfort Zone Preventing Growth? Working as an artist manager, I’ve discovered something that holds true for most artists. If an artist is comfortable, they most likely aren’t growing. In order to continue growing an audience, the artist must continually push the boundaries of their music, imaging and marketing. The irony is that most artists don’t like to be uncomfortable but they all want to grow their audience. 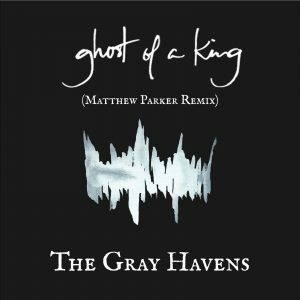 If you aren’t aware of The Gray Havens, then you should be! 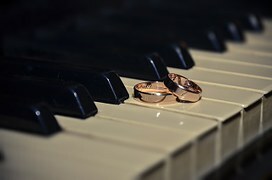 The husband/wife pop-folk duo have been quietly building a following amongst college students, hipsters and those who appreciate great music. With lyrics inspired by literary greats JRR Tolkien and C.S. 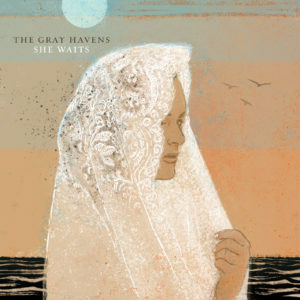 Lewis, The Gray Havens are branding a unique style of fantasy story telling with theological undercurrents. David and Licia Radford, The Gray Havens, recently launched a Kickstarter campaign to raise funds for a new EP which they hope to release in Spring 2016. 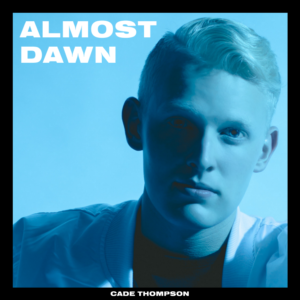 They have been vigorously writing new songs and have lined up producer Ben Shive (Andrew Peterson, Colony House, Brandon Heath) to begin production once the funds are raised. Check out the video and join them in making the new record. If you have ever played a festival or multi-artist event where you weren’t the headliner, then you have most likely experienced plug & play. As an artist manager, I prepare our artists for most scenarios they will encounter ahead of time. Even so, its interesting to see the stressed look on their face when they realize they aren’t getting a soundcheck. Here is a little advise that should go a long ways in any artist career. When you are booked for a festival or multi-artist event, plan for that very scenario. Most of those scenarios only allow for shorter sets. If you can pull off your set without a stage full of musicians, then do so. Without a sound check, do you really think a five piece band will sound great? If you have some unusual piece of gear you normally play with, can you play without it? Don’t throw anything at the production crew that is out of the norm. If you do take the stage with a full band and something is whacked with the sound, are you prepared to instantly transition to an acoustic set? You should be. Making that quick transition could turn a potentially disastrous show into a great set. 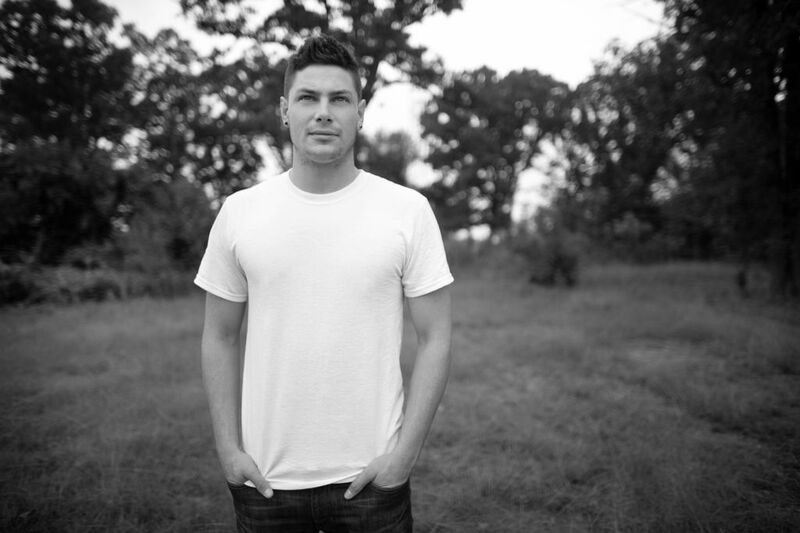 NASHVILLE, Tenn. July 7, 2015 —Artist Garden Entertainment announces the signing of alternative hip hop artist, TAL (Tal Zentmeyer), to an exclusive management deal. Based in Tampa, FL, TAL shares his blend of alternative hip hop and speaking at churches, youth camps and festivals throughout the south and northeast. “From the first video I saw on-line, I knew there was something special about TAL. His unique artful way of story telling and delivering God’s message of hope, instantly drew me in. While its difficult to put him in a specific box, TAL’s musical vision and versatility reminds me of Christian hip hop group Social Club and top selling mainstream artist, 21 Pilots.” states Artist Garden President, Keith Stancil. 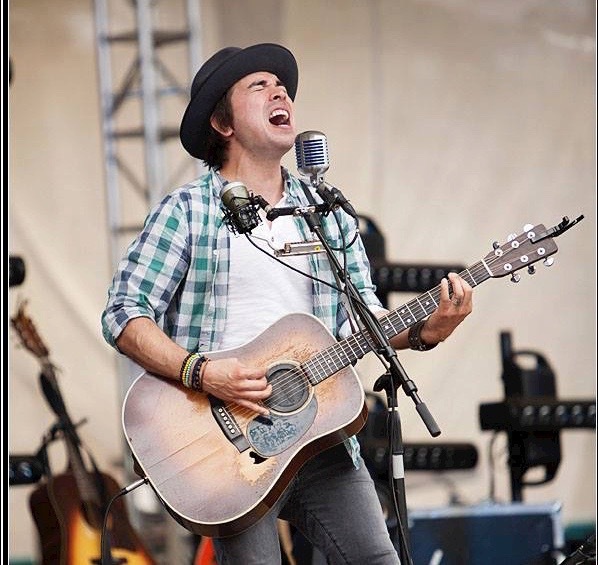 TAL honed his performance skills while attending the inCharacter discipleship program and later earned both an Associates degree in Biblical studies and a Bachelor’s degree in Creative Arts of Ministry from Summit Bible College in Bakersfield, CA While serving as Interim youth leader at Van Dyke Methodist Church in Lutz, FL , TAL felt called to launch his full time music ministry. For further information, visit http://talxmusic.com or contact Artist Garden Entertainment. Holly Starr Announces Wedding Date! One of the great things about being an artist manager is living life with our artists. Seeing their career grow is rewarding but watching their personal lives flourish is pretty special. 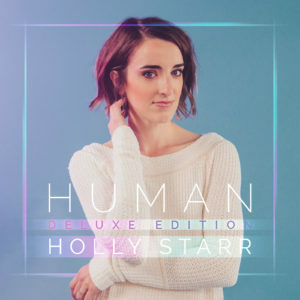 This week Holly Starr announced her engagement and wedding date as the first first blog post on her new website. With both a new record on the way and the October wedding, Holly has much to be excited about. Click Here to read Holly’s wedding post. Every musician’s dream is to play on the big stage for thousands of people. A few fortunate ones get the opportunity to play the big stage on a regular basis. Some get their shot only to blow it. Seasoned musicians know the importance of being prepared for any circumstance on the big stage. When its show time anything can and probably will go wrong. Those who are prepared will not be shaken. Those who aren’t prepared will be shaken! Vocal Warm-Up should be done 1 hour prior to show. It puzzles me to see vocalist eschew the warm up. I would compare that to driving an automobile with no oil in it. Cars engines die with no oil. So do voices. If you have confidence that your voice is strong and sounding great, issues with monitor mixes can be easily overcome. Always have a back-up guitar on hand. When your guitar stops working or you break a string whats your plan? With only seconds to save a show or blow a show, having a back-up enables the quick save. Bring that extra guitar cable. Ever notice that guitar cables never go bad when they aren’t plugged in? They seem to pick the most inopportune time to cause problems which is usually during a show. Check your cables in advance and always have a back-up for a quick change. Install Fresh Batteries. Anyone using guitar pick-ups, wireless mics, wireless instrument packs and tuners should install fresh batteries before hitting the stage. Save the old ones for rehearsals. And always have back-ups on hand. Tracks Plan B – Anyone using tracks should have a Plan B. Either have a backup computer booted up and ready to go or be prepared to make an immediate transition into a show without tracks. When a 911 presents itself those who are prepared are able to think a clearer and act faster. Those who aren’t prepared experience a meltdown that could potential ruin a show. Have you experienced 911 on the stage?